Chiang Mai Night Safari. A government agency. Operated by the supervision of the Administration of Designated Areas for Sustainable Tourism (Designated Areas) is located in Tambon Mae Hia Tambon Suthep, Muang District, Chiang Mai, Chiang Mai and Nong Kwai. The total area of approximately 819 acres and only minutes from the city center, about 10 kilometers. 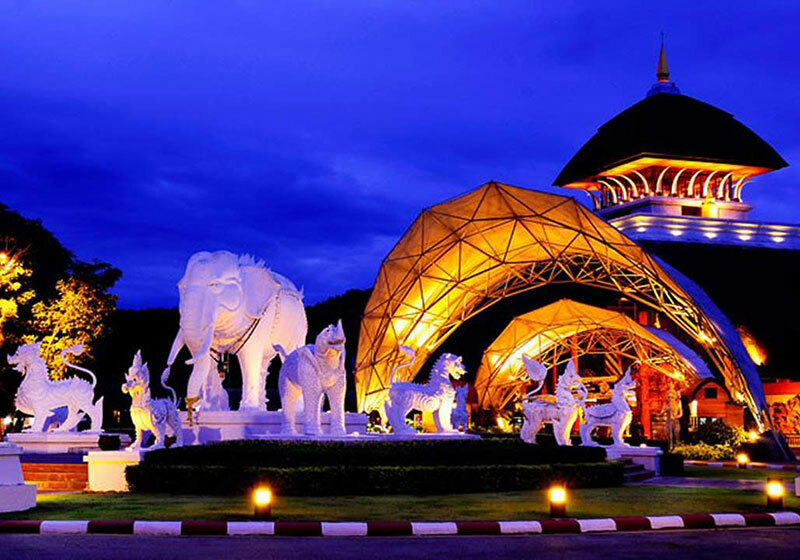 Chiang Mai Night Safari was originally opened on February 6, 2549 focused on providing services in the evening through the night. And is Thailand first night zoo. But the Chiang Mai Night Safari has changed the pattern of services that can travel throughout the day. Both in the daytime. And at night. And may count as a night zoo, the largest in the world. Which is as large as 2 times the Night Safari, Singapore The Chiang Mai Night Safari is also highlighted in a Nature Theme Park, which is different from normal animals as well as the Safari in Africa with emphasis on natural science. Wildlife in Asia Where visitors can study the behavior of animals closely. Short Description: Chiang Mai Night Safari is a nocturnal zoo located in Chiang Mai Province, Thailand. The safari has operated by Pinkanakorn Development Agency, subordinated to the Prime Minister's Office.